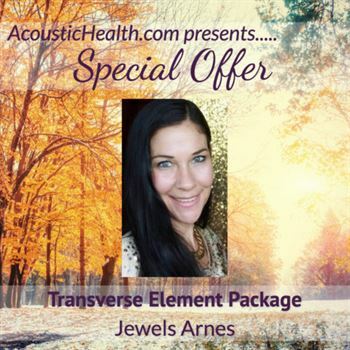 In this package you will receive the Transverse Elixir and The Liquid Gold Serum.Transverse Element Elixir: This Elixir comes in a set of two bottles that have specific instructions. It is created from the Stars and will assist those who are ready to Transcend to the next level of their personal ascension. Directions: “I ask to absorb the Transverse Element everyday.” I don’t need to know why or what it’s going to do… It is a gift from Creation and I am honored and humbled to share it with you today. 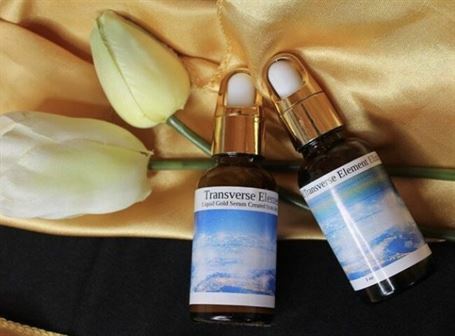 Transverse Element Liquid Gold Serum from the Stars: This Serum was designed for those who hold DNA that is ready to transform to the next stage of human evolution. It holds the frequency of the Transverse Element and the intelligence of the Fabric of all Creation. Ingredients: Persea Americana, Simmondsia, Cannabis Sativa, Hippophae, Cetyl Alcohol, Glycerl Stearate, Sodium Stearyl Lactylate, Boswelia sacra, Rosa, Commiphora Myrrha, Jasminum, clary sage Salvia Officinalis, Hyaluronic, Arbutin, Probiotic, Nano Gold, Transverse Elements. 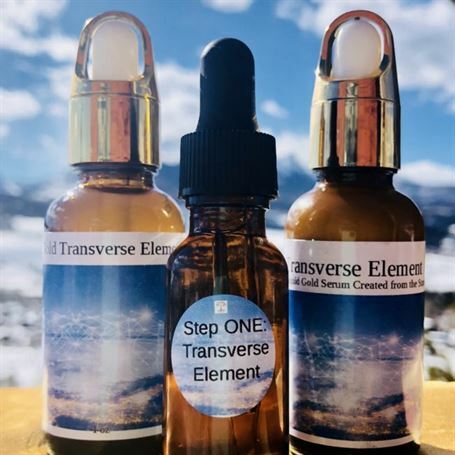 Transverse Element Elixir: This Elixir comes in a set of two bottles that have specific instructions. It is created from the Stars and will assist those who are ready to Transcend to the next level of their personal ascension. Directions: “I ask to absorb the Transverse Element everyday.” I don’t need to know why or what it’s going to do… It is a gift from Creation and I am honored and humbled to share it with you today. Ingredients: Persea Americana, Simmondsia, Cannabis Sativa, Hippophae, Cetyl Alcohol,Glycerl Stearate, Sodium Stearyl Lactylate, Boswelia sacra, Rosa, Commiphora Myrrha, Jasminum, clary sage Salvia Officinalis, Hyaluronic, Arbutin, Probiotic, Nano Gold, Transverse Elements. Transverse Element Liquid Gold Body Lotion: Upgrading The Bloodline. This lotion hold the frequency to advance and upgrade Bloodlines. Using advanced Energy Grids held within the Divine Matrix, this is a frequency based product developed to support the transition of plasma to the NEW Earth Frequencies. As we advance into the light body, the blood changes. Liquid Gold Body Lotion supports this transition allowing more light to enter the blood or our life line. The Transverse Element Supports the Cells and molecules as well as activates the DNA. This is not just Body Lotion! It is A Transmission From the Stars! Directions: Apply once daily to Body or areas of Discomfort to support the Bloodline by connecting to the Plasma Blueprint in the NEW Earth Frequencies. In this package you will receive the Transverse Elixir and The Liquid Gold Serum, Liquid Gold Body Lotion, as well as Energetic support and upgrades to support you as you absorb this multi-dimensional Element. For 4 Weeks you will receive a Transmission Video that can be played as many times as you wish. Each week the frequency will build to a higher vibration, allowing your body to bring in more light and Divine Intelligence. WARNING: If you are sensitive and respond to this process in anyway that is overwhelming do not loop video transmission and proceed with caution and moderation. In this package you will receive the Transverse Elixir and The Liquid Gold Serum, Liquid Gold Body Lotion, as well as Energetic support and upgrades as you bring in this multi-dimensional Element. For 4 Weeks you will receive a Video Transmission and one Personal Session with Jewels to upgrade and Transcend density in the Body, activate the DNA and connect you to your personal Blueprint in the NEW Earth. This will be done by appointment. Each week the frequency will build to a higher vibration, allowing your body to bring in more light and Divine Intelligence.